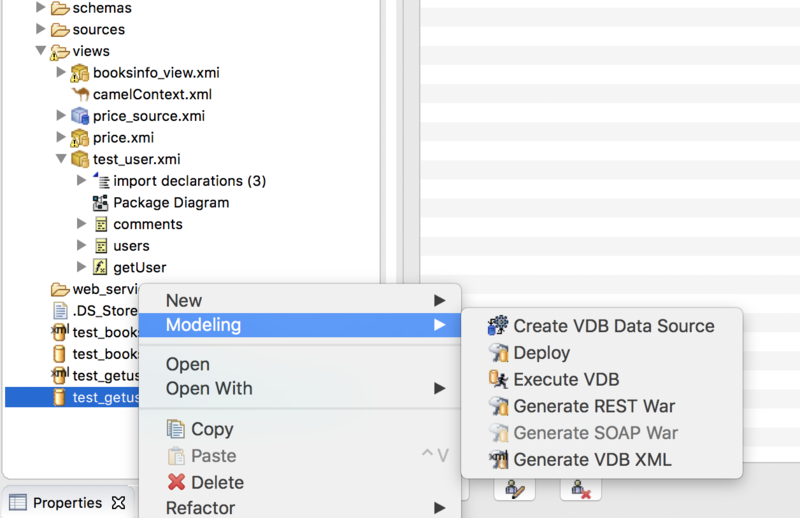 How can I deploy VDB for a SOAP interface in TeiidDesigner? The option of [Generate SOAP War] were disabled when I executing Modeling->Generate SOAP War on a vdb. How can I enable this option? 1. Re: How can I deploy VDB for a SOAP interface in TeiidDesigner? 2. Re: How can I deploy VDB for a SOAP interface in TeiidDesigner? 3. Re: How can I deploy VDB for a SOAP interface in TeiidDesigner? Sorry for asking you again, when I deployed the SOAP war from vdb, the soap interface was able to be accessed, but it returns error bellow every time, would you please give me some suggestions? 4. Re: How can I deploy VDB for a SOAP interface in TeiidDesigner? You should first test your VDB using the any SQL Client like SquirreL and make sure there are no errors in your design. Then build the SOAP interface on it. From the error, it looks like there an error either in VDB or MySQL based procedure? 5. Re: How can I deploy VDB for a SOAP interface in TeiidDesigner? 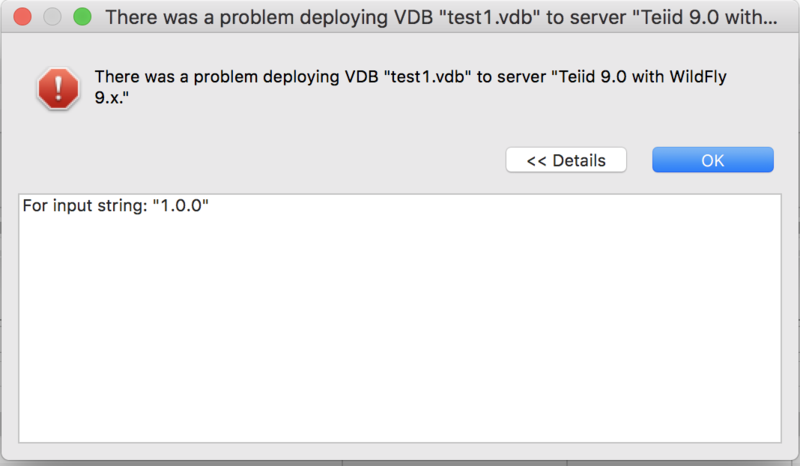 Thanks for reply me, I've found that I forgot to do the [Create VDB Data Source] operation from my test1.vdb. 09:37:22,125 WARN [org.teiid.SECURITY] (NIO2) TEIID40011 Processing exception 'TEIID50072 The username "anonymous" and/or password and/or payload token could not be authenticated by security domain teiid-security.' for session null. Exception type org.teiid.client.security.LogonException thrown from org.teiid.jboss.JBossSecurityHelper.authenticate(JBossSecurityHelper.java:154). 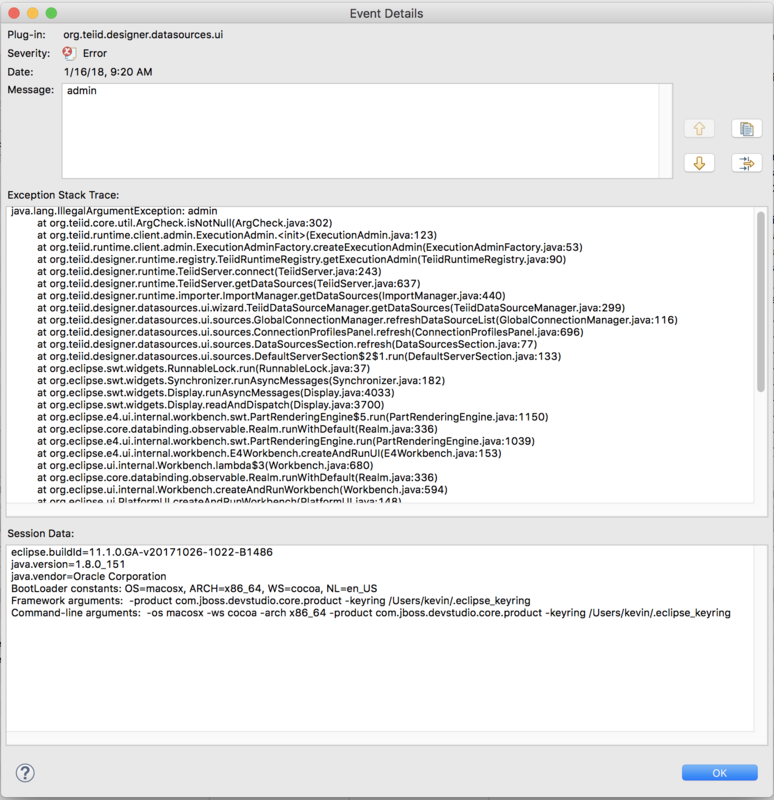 Enable more detailed logging to see the entire stacktrace. Caused by: org.teiid.jdbc.TeiidSQLException: TEIID50072 The username "anonymous" and/or password and/or payload token could not be authenticated by security domain teiid-security. Caused by: org.teiid.net.ConnectionException: TEIID50072 The username "anonymous" and/or password and/or payload token could not be authenticated by security domain teiid-security. Caused by: org.teiid.client.security.LogonException: TEIID50072 The username "anonymous" and/or password and/or payload token could not be authenticated by security domain teiid-security. Caused by: javax.security.auth.login.LoginException: TEIID50072 The username "anonymous" and/or password and/or payload token could not be authenticated by security domain teiid-security. I'm not sure what's wrong with my operation. 6. Re: How can I deploy VDB for a SOAP interface in TeiidDesigner? When you created the VDB data source in Designer, did you check the passthrough authentication checkbox? If not, give that a try. 7. Re: How can I deploy VDB for a SOAP interface in TeiidDesigner? Thank you, Ted, I found that I was forget to create jndi name for vdb.